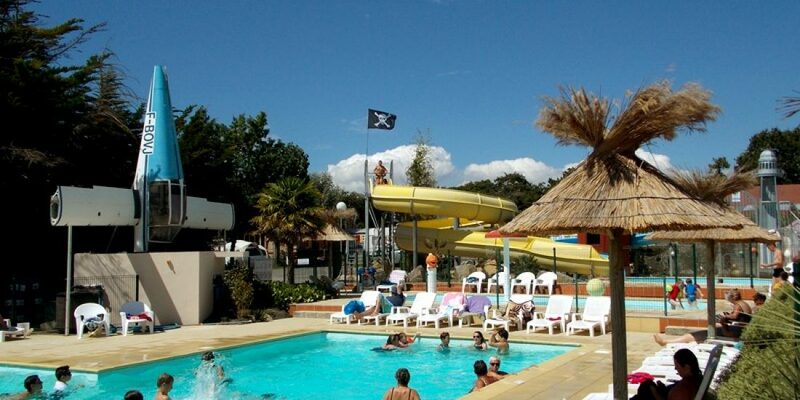 In the large pool, the whole family will enjoy many activities (Aquagym, Waterpolo, duck fishing…). The second pool is an aquatic playground dedicated to toddlers. 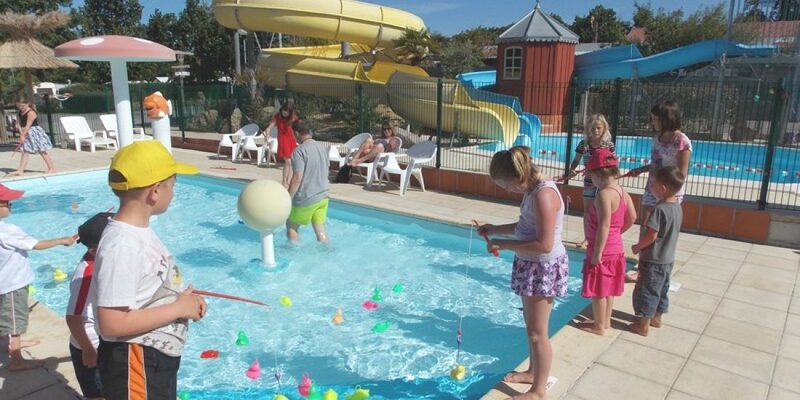 Both children and parents will appreciate this fun pool, with its “Magic Ball”, its “Water Mushroom” and its “Orange Fish”. 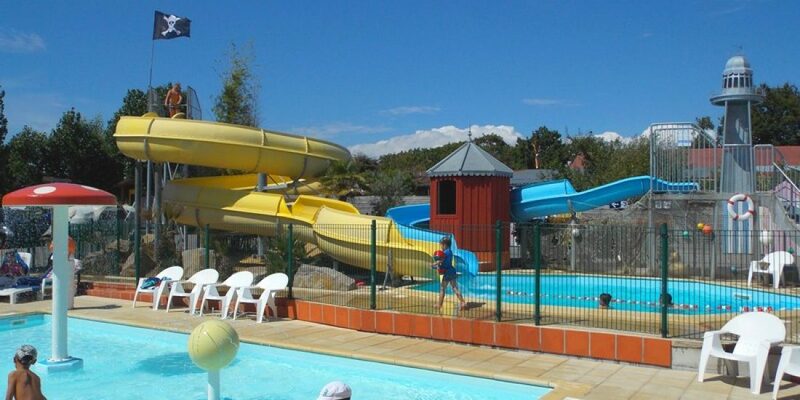 The third basin is the end basin of the 2 waterslides (yellow and blue). 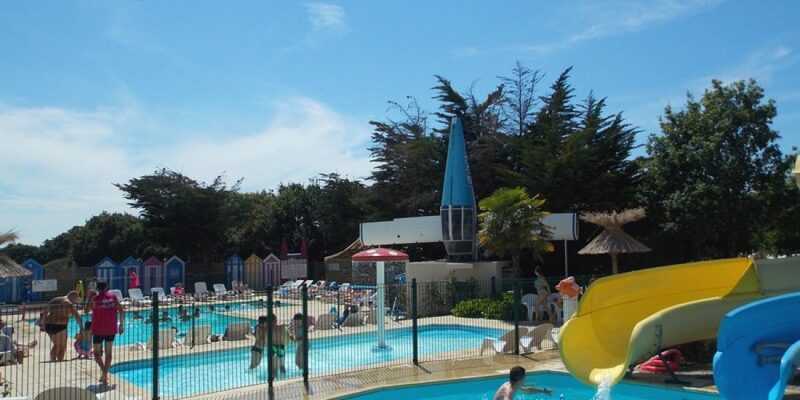 The swimming pool and the water play area are open from the May 1st until September 22th. 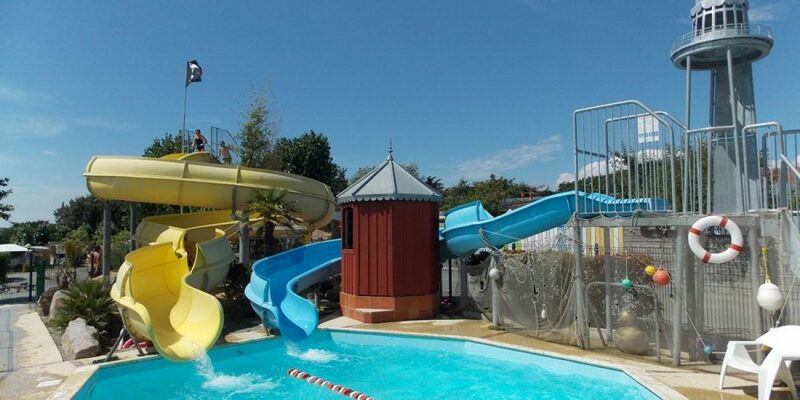 The slides are ONLY open in July and August. Please note : bathing shorts and bermudas are prohibited, tight swimsuits are required.